Preparing well with your nutrition, warming up and stretching will assist your body’s performance during and post workout. We recommend, as before any workout, you warm up and stretch before you start. If you need guidance with your warm-up, jump back to Day 1 and follow the warm-up there. Make sure you keep hydrated and exercise to your ability level. Full Body Workouts are great for obvious reasons as they work everything! 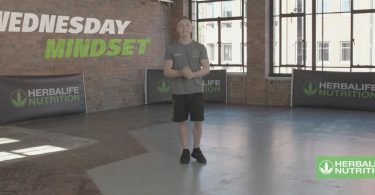 After your Mindset session yesterday we hope you’re well rested and eager to get cracking with this short but intense workout. Always remember to go at the pace your body can take. If you feel you can step it up a notch then do. If you start to feel it is getting too much though, try to take it a little easier to complete the full workout. It’s much better to complete the workout at your level than burning out! At the end of the video Nile will show you the products he uses during his training regime. If you’re interested in learning more about Herbalife Nutrition, get in touch with a local Herbalife Nutrition Member here. Great work today everyone! Make sure you cool down and stretch, it will help your muscles to recover. 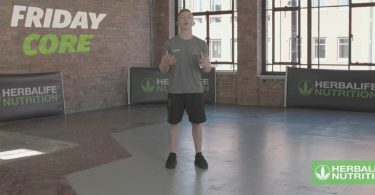 See you tomorrow for day 12 of the 21 Day Challenge with Nile Wilson.